Now that you’ve been using your WordPress website, you are probably looking for ways to extend your website to add additional functionality and features. One of the first steps you should make is adding an SEO plugin and to take advantage of SEO resources that will potentially increase your website traffic. One of the biggest sources of traffic to your WordPress website will likely be search engines. Unfortunately, the default WordPress configuration will not allow you to maximize your chances of ranking better in their search index. Below, you will find the top five resources that we recommend you to use and implement as part of your overall SEO strategy. What is SEO? SEO stands for Search Engine Optimization and is generally the best practices that can be followed to help achieve a better ranking in search engine result listings. Without a doubt, the best and most popular SEO plugin for WordPress is WordPress SEO. This solution is comprehensive, has the most features, optimized for easy usability and it just… works. The primary goal of most SEO plugins is to do one thing, to allow you to optimize your content title tag and meta description so that search engine spiders will have a greater understanding of what your content is about. Other features include XML Sitemap generation (easy spider food for engines), RSS optimizations, breadcrumbs, import and export functionality to convert to or from another SEO plugin and lastly, the awesome page analysis feature that occurs on any page or post. The analysis will let you know how your SEO for your target keyword is, will show you how many characters left in your meta description and will even warn you if your title/description text is too long. All of it, great stuff and we use it every day. You may upgrade to WordPress SEO Premium for $89/year to add a redirect manager, tutorial videos, Google Webmaster Tools integration and premium customer support. Of course, this is optional but does help support Joost and his team. One of the most important things you can do for your niche and website is to do your research into your market. The Google keyword research tool is awesome for Google AdWords users (paid traffic) but it can also be awesome for people not planning to advertise. With this free tool, you can search our your niche and get keyword ideas based on search volume, number of results and it will even show you the competitive scope of the keyword. Dig around in there, find some low hanging fruit and make content around it. We strongly recommend incorporating the Google Keyword Planner in your content marketing SEO strategy. Screaming Frog SEO Spider is an awesome spider and website crawler tool that you run as software on your PC, Mac, or Ubuntu. The software will crawl your entire website and generate a list/report that you can use to find broken links, 301 redirects and other problem areas on your website. This tool is especially useful if you’ve changed your permalink structure and need to quickly find posts that reference old URLs that need updating. Although this can be a tedious manual process, there is a quicker way with PHPMyAdmin export, find/replace and upload which you could certainly outsource to someone who can do this for you. We found this tool to be invaluable when we converted our Top Five Advisor website to WordPress and needed a full site structure spreadsheet that we could use to redirect old links. After that was completed, we decided to switch our URL structure again to take advantage of the WordPress tagging system which required another round of link fixing. Price: Free for 500 URLs. £99/year for the full version that removes the 500 URL limit. Alternative: Broken Link Checker Plugin. This plugin will scan your website for broken links on your website that is totally free, however, this plugin is known to be extremely resource intensive on your web host which can lead to performance issues or a message from your web host to discontinue use. A popular WordPress web host WP Engine has outright banned its use. Once you start adding a ton of content to your website, you might be wondering what your competitors are doing to give themselves an edge on your website and the rest of their competition as well. With SEMRush, you can research any website, get analytics and insights, discover competitors’ best organic keywords to target, discover backlink resources including referring domains, types and geolocation, find Google AdWords ad copy and budget, find search volume, discover additional competitors that are in your niche(s) and so much more! Pro Plan – $69.95/mo, includes 10k keywords per report with 3k reports per day. Guru Plan – $149.95/mo, includes 30k keywords per report with 5k reports per day. Business Plan – $549.95/mo, includes 50k keywords per report with 1k reports per day. Definitely give their free search from their main page a try. You’ll instantly learn things about your competitors with a few strokes on your keyboard and mouse clicks. Of course, when you start doing a ton of searches, you’ll eventually hit their free threshold that will prevent further searching until the next day. 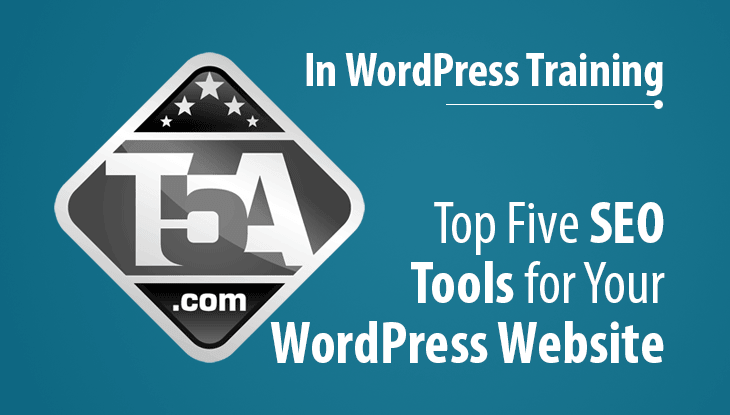 Wrapping up the top five best SEO tools to use on your WordPress website is the Google Webmaster Tools service. Using WordPress SEO, which was recommended above, you can easily integrate Google Webmaster Tools into your website which will begin tracking your visitors, your page views, your popular pages and much much more. From your WordPress dashboard, go to SEO > General then click the “Webmaster Tools” where you can enter the code provided to you by Google’s Webmaster Tools. 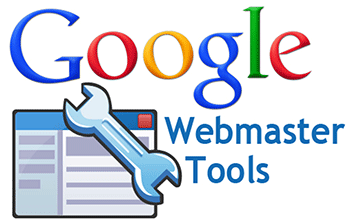 Once you complete this step, return to Webmaster Tools and verify that the code has been integrated properly. From there, give Google a few days to collect data on your website and then return to see all of the awesome metrics and stats they provide you with. It has been known for quite some time now that Google loves websites that are optimized for fast page load times and for mobile users, they recently launched a new algorithm that looks for websites that are mobile response and mobile friendly. Make use of resources like GTmetrix and Google PageSpeed to check your website and see how it scores. Consider making changes to your website that will improve your scores. Sometimes your web host will be a determining factor on how fast your pages will load. If you are on a discounted web host, consider investing in your business with a premium WordPress web host. WP Engine includes access to a content delivery network, object caching and other tools that will make your website load faster, perform better for your users and, therefore, boost your chances at SEO success. Lastly, mind your images. Did you know that we optimize every image before we upload them to our articles? There are premium WordPress image optimization tools and services available, however, we primarily use the PNG image format for our uploads and optimize them with TinyPNG, a free web-based service that is quick and painless. Great list. Have you seen the new serpstat? This tool can also serve as an alternative to SEMrush and with the only questions tab you can generate content title ideas for your contents. Great tools Scott! haven’t tried some of them. I think Yoast has been really working great. Helped me a lot and I know a lot of bloggers who use this tool too. I was wondering, do you also have tools or plugins to recommend for social shares? At the moment, we utilize Thrive Themes built in social sharing functions. Cleaner code and no issues.